There's clear and present danger confronting all internet users from ever growing and evolving malware, cyber crime and cyber terrorism. Trustico® employ a team who have a passion for meeting internet security challenges head on - ensuring individuals, internet merchants, small to medium businesses and large enterprises are protected online. 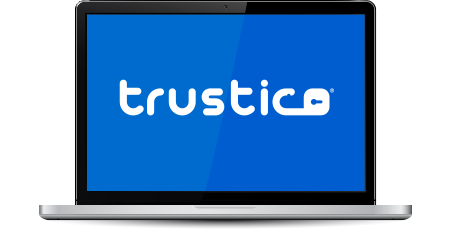 In February 2018 Trustico® entered into its own SSL products, sell and provide a vast array of Trustico® security solutions. Trustico® products are available to new and existing Trustico® customers at competitive prices. Trustico® Extended Validation SSL Certificates provide the highest level of business authentication available according to standards set forth by the CA/Browser Forum. The green HTTPS browser address bar assures visitors they are interacting with a verified business on a secured domain. Trustico® Code-Signing Certificates provide assurance of a software publisher's identity and that a software program being installed has not been modified or altered since creation. If you require any assistance or are looking for further information about Trustico® products, please Contact Us. Our staff are ready to assist with information and support upon request, we look forward to welcoming you as a Trustico® customer.